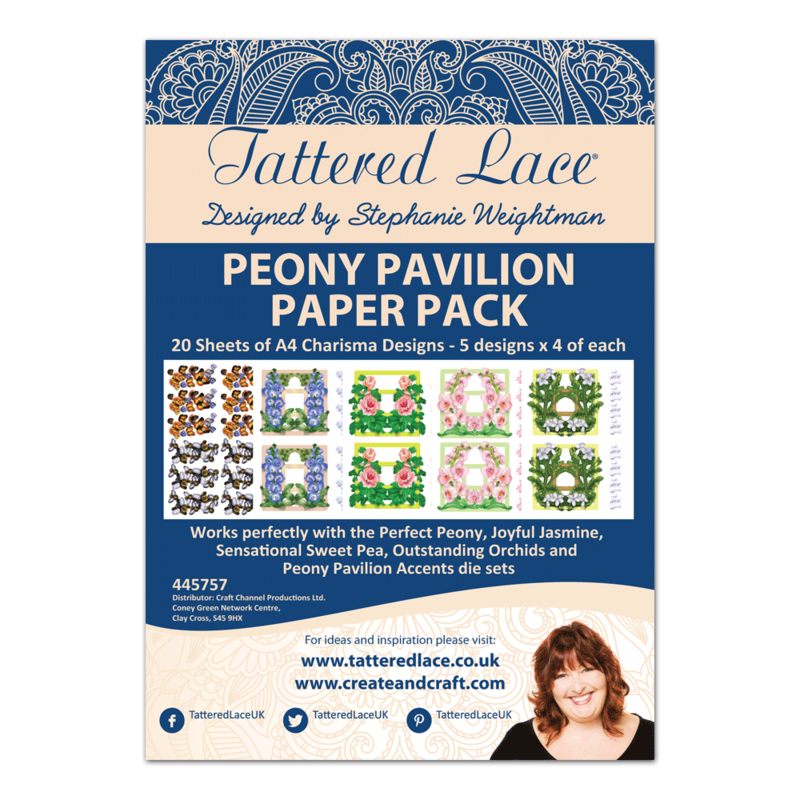 Formed as part of Tattered Lace’s Peony Pavilion Collection, this A4 Paper Pack includes 20 sheets in total featuring 5 designs and 4 sheets of each design! The new collection includes bountiful bunches of gorgeous bouquets. This fabulous pack of background papers will enable you to create marvellous card toppers and impressive scenes, add stunning focal points to your work – the possibilities are endless!